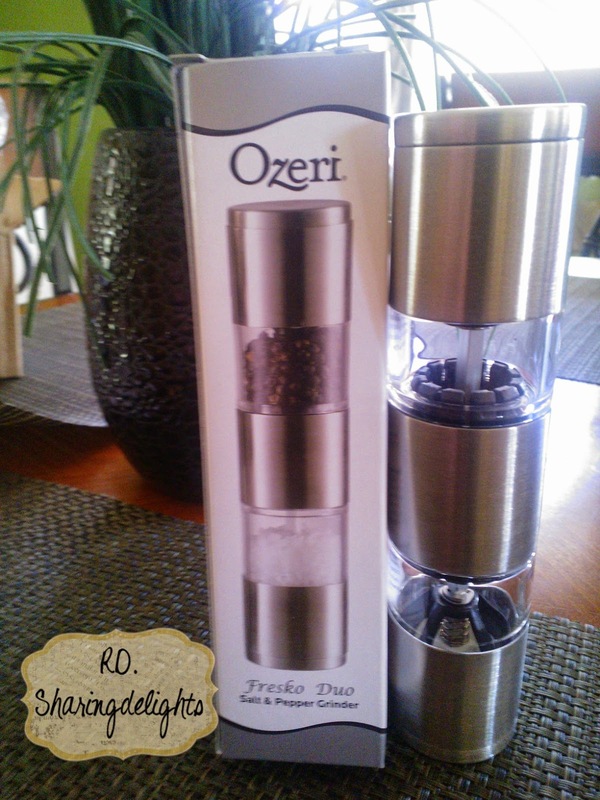 I was recently given the opportunity to try the Ozeri Fresko Stainless Steel Salt and Pepper Mill and Grinder. 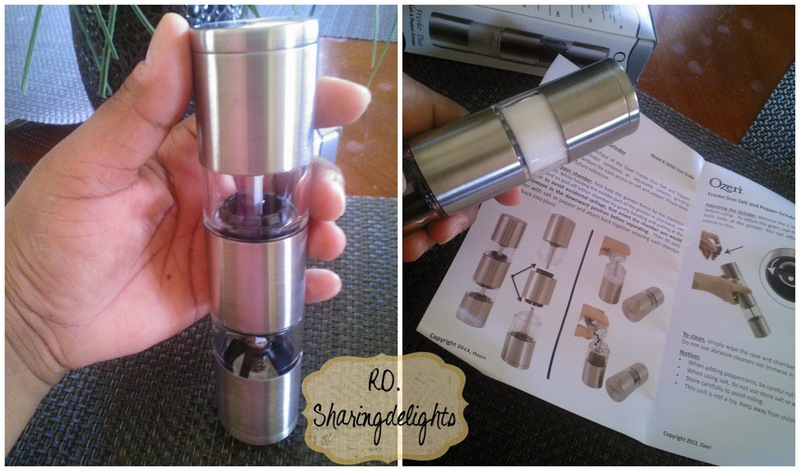 This Salt and pepper grinder is easy to use and gives your kitchen a cool innovate look, who doesnt like to own cool items that attract attention of guest at dinners parties? Besides the look its features are simple..It also offers adjustable grinders so that you can control how fine you want to grind your seasonings of choice, Each side also offers a cap to keep your seasonings fresh. The overall appearance of the Ozeri Fresko Duo is sleek and has a modern look and feel..Both ends have caps on them so your salt or pepper is kept dry and fresh. I prefer using sea salt but my family like to refined regular salt. I do like the product and will continue to use it on a daily basis just as I have done since it arrived. You can also purchase this great product at Amazon.